Approved to BSEN3. For use on gas, oil, petrol, solvents and electrical equipment. 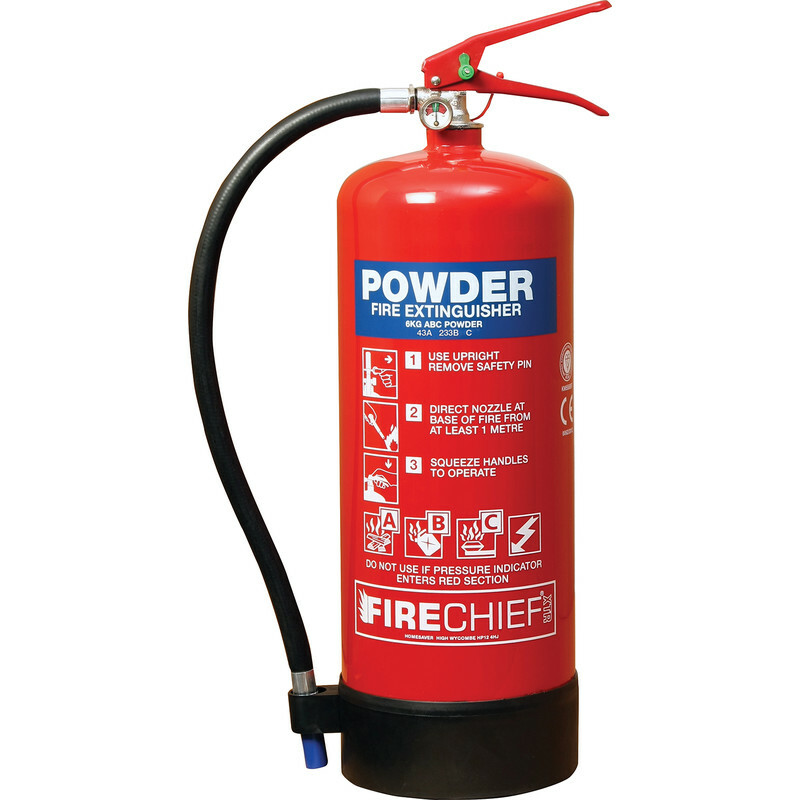 Firechief Dry Powder Fire Extinguisher 9kg Rating 55A 233B C is rated 4.4 out of 5 by 14. Rated 4 out of 5 by jezzer58 from I will tell you after a fire ! What can I say? Fitted as a standard precaution in line with statutory legislation. Hope its never used so cant really give any comment as to its usefullness. Rated 5 out of 5 by Pip3 from Looks good. Hope it's never needed! Conveniently available. Looks neat, and supplied with a fixing bracket. Rated 4 out of 5 by kev5555 from Compact Unit Unit comes with wall mounting hardware and is fairly compact for a 2kg size. I haven't actually used the unit yet (hoping I don't need to) but the price was resonable other a web search of other sites. Rated 5 out of 5 by Agumdoo from Easy to fit, compact. I got this for my caravan and I'm very pleased with it, won't know how good it is as I have not needed it and hope I never do. Rated 5 out of 5 by Robbbbbbbbbbbbbbbbbbbbbbb from How do you rate a fire extinguisher ? How do you rate a fire extinguisher - until you use it ? I'm not sure how to rate this. The specification seems good - covers all sorts of fire including live electrical. Hopefully I'll never need to know whether it works OK. This is NOT meant to sound negative...it's just that it's impossible to rate.